Last weekend I finally turned my Raspberry Pi to media player appliance (IP TV STB) using Raspbmc. Raspberry Pi reaches critical mass as XBMC hardware so trying it out sounded a good idea. My main was to use Elisa Viihde service also with my Rasberry Pi connected to monitor (I already had set-top-box and I could watch the programs with PC). My collegue had earlier (many moths ago) informed me how to make this work: install raspbmc, buy MPEG2 decoding key and install XBMC-Elisa-Viihde-plugin. I tried different ways to solve the problems mentioned in discussion. None of them seemed to help. Finally I found what solved the problem: the installed I had was a bit old. I downloaded the newest Raspbmc has a simple UI installer and things worked well with that. 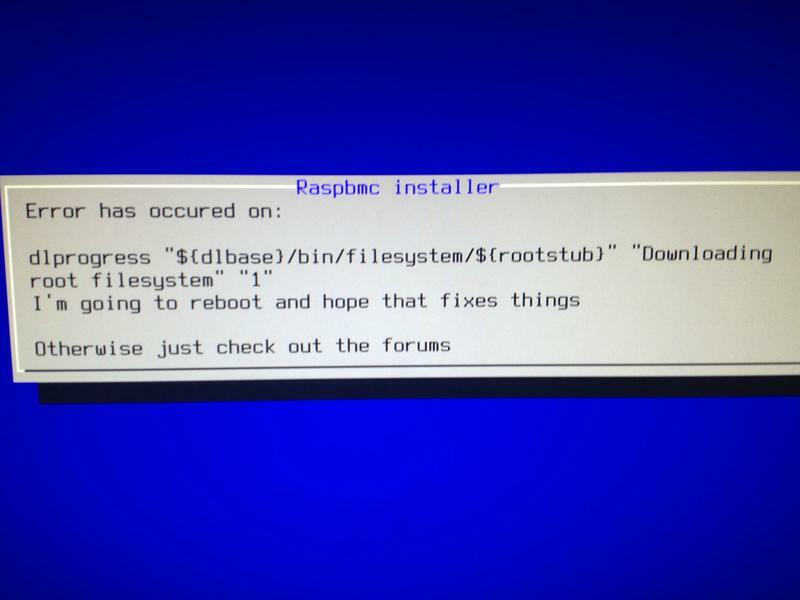 Installing XBMC-Elisa-Viihde-plugin step was easy: I was happy to see that Raspbmc already had that plugin as the list of plugins you can directly add within XBMC without doing any additional installing steps which were needed earlier. When I tested viewing the programs I got two problems: lack of picture and sound. The lack of sound was caused by the fact that Rasbmc was sending by default audio to HDMI, while I needed to have it on analogue output (easy to change on audio settings). The lack of video was due the fact that MPEG2 hardware decoding key was missing (recorded TV programs on Elisa Viihde are in MPEG2 format like they come from digital TV broadcasts). All I had to do to solve the problem was to add the MPEG2 license key (I had already bought) to the config.txt file in the FAT partition of the SD card (I did editing of config.txt with Notepad++ on my Windows PC). Now things started to work well and I could watch the recorded TV shows. Hi there, always i used to check web site posts here early in the break of day, as i like to learn more and more. Raspberry Pi owners can now quickly and easily turn their Pi into a low-cost media centre for their home or office, with a new XBMC bundle from element14. One of a strong pipeline of Raspberry Pi solutions to be launched this year, the XBMC bundle is available through Farnell element14 in Europe. Containing all the additional hardware and software necessary to start using the device, the starter kit will allow users to stream content from devices on their home network through their Raspberry Pi, turning the screen or their TV into a media centre. 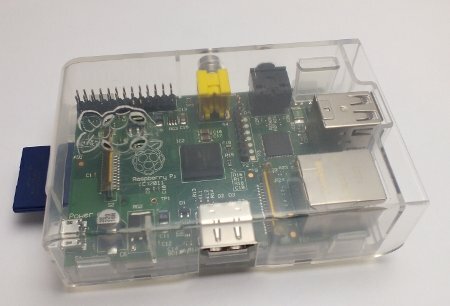 The Raspberry Pi will then stream content from any computer on the local network. The XBMC bundle includes an SD card pre-loaded with Raspbmc software, an open source Linux distribution created by Sam Nazarko that brings Xbox Media Center (XBMC) to the Raspberry Pi. I even tried to uninstall and reinstall the plugin, but no luck. Elisa did some updating on their server last week (they announced it in advance), and I quess that it could have something to do with that. I remember some other third party add-ons kept failing after some earlier major upgrades (until they were updated to work with new system). Does anyone have similar issues with XBMC-Elisa-Viihde-plugin ? Is there any fix I could try? When looking at code at https://github.com/anylonen/XBMC-Elisa-Viihde-plugin/blob/master/addon.py and testing the calls it makes to Elisa system it seems that the problem seems to be related to logging in to system. Call to this address with correct user ID and password seems to lead to fail with password missing error.. When looking at Elisa viihde login page, it seem that the form is expected to use POST method..
Heya i’m for the primary time here. I came across this board and I to find It really helpful & it helped me out a lot. I hope to present one thing back and help others such as you aided me. Some users say that the plugin still works for them well (on Raspberry Pi and other platforms). Strange because it does not work for me on my Raspberry Pi.. Finally success with my Raspberry Pi media player. It seems that something was wring on my installation and/or some earlier RasbMC installation, something that normal updating did not solve… and an earlier attempt to reinstall..
Anyways now everything works again. Raspberry Pi uses a shared folder on the hotel’s network as the source slides. Raspberry PI and a video modulator. The interesting part is the video looper made with Raspberry with a classic sharing Microsoft windows where the hotel manager can put the videos you want to show to everyone. One of the areas we’re putting a lot of work into is XBMC performance – we’ve been a bit shocked on working through some data* to find that the Pi now appears to have more XBMC users than any other platform in the world, bar the PC (we’ve overtaken cracked Apple TV 2s), and we want to make sure you have the best possible experience with the software. Dom Cobley and Ben Avison have been working on the platform for us, and the results so far are pretty impressive: video playback has always been good, but they’ve really tidied up the user experience in the menu in particular, and browsing through your media collection, even if it’s as big as Dom’s, is now much smoother and faster. If you’re running the latest firmware, XBMC on the Pi is more than useable: it’s something you can happily use as your main HTPC. [Tony] decided his “smart” LED TV wasn’t quite smart enough. So he stuffed a Raspberry Pi in it. Upon opening the case of his 40″ Hisense Smart LED TV, he discovered that the logic board actually had two unused USB pads — what luck! He tapped off of them to get 5V @ 500mA to power the Pi… Later on he realized this wasn’t the ideal solution — when the TV turned off, it cut the Pi’s power too. Cutting out the grill and removing the whole assembly left him with more than enough room to store the Pi and mount a 3D printed LAN and USB port cover! He’s running Raspbmc which lends the TV tons of functionality. If, like me, you’ve jumped onto the Plex bandwagon with both feet, you’ve probably discovered how difficult it is to make a standalone Plex player. RasPlex is a custom Linux distribution based on the popular (and awesome) OpenELEC Raspberry Pi port. Rather than installing XBMC on an RPi, however, RasPlex installs the Plex Home Theater application. If you have Plex on your phone, tablet, computer, browser and Roku, but really wish you could make a standalone Plex Home Theater with your Raspberry Pi, check out RasPlex today: http://www.rasplex.com. With the Raspberry Pi now most famously known as a $30 media PC, it only makes sense that the best uses for the GPIO pins on the Pi are used for an Ambilight. [Great Scott Labs] put up a great video on using the Pi as a uniquely configurable Ambilight with Hyperion and just about any video input imaginable. With the software in the instructions, the Raspi effectively mirrors the video coming from the video capture dongle. The Pi is running Hyperion to control a strip of WS2801 RGB LEDs, making the back of any TV glowey and blinkey. Back in 2002, a small group of developers whipped together an app that was meant to turn a hacked Xbox into a full-fledged media player, capable of playing all sorts of video and music content that the Xbox couldn’t handle out of the box. Reasonably, they dubbed the project “Xbox Media Player”. Over time, the name started to make less and less sense. The software is the Logitech Media Server along with Squeezeslave.